Landscape Images and Nature Photography, water falls, wild flowers, streams, rock formations from State and National Parks in North America. 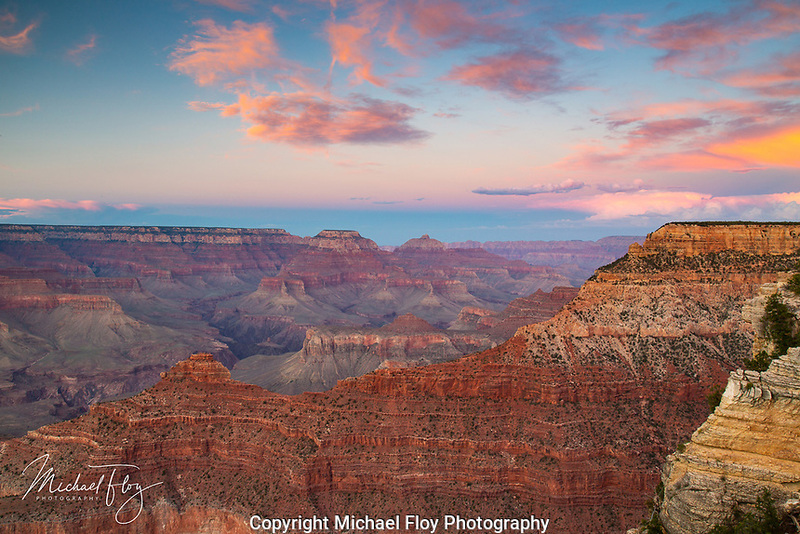 Welcome to Michael Floy Photography. I am a semi professional photographer who has worked in film for many years processing my own film and prints and have recently made the switch to digital photography. I have also participated in several photography workshops with Clint Farlinger to further develop my skills along with attending seminars provided by Gerlach Nature Photography. This site contains images of landscape & nature photography taken during travels through the Midwest, Southeastern, Western and Southwestern United States as well as Alberta and Ontario Canada. I enjoy trying to capture nature's beauty of wild and natural landscape scenes for others to enjoy. As you will see by the images on this site, I have a soft spot for water falls large and small. I also do portrait photography taking senior, family and engagement pictures in the Decorah, Iowa area. If you would like to know more please contact me by clicking the "CONTACT" link at the bottom of the page. Please browse the galleries to see a sampling of my work. I hope you enjoy the images on my website as much as I did taking them. Please leave comments if you would like. I would enjoy hearing from you. Please stop back soon to see new photos.